Grades: 3-8 Oneg Shanah highlights the Jewish holiday cycle. 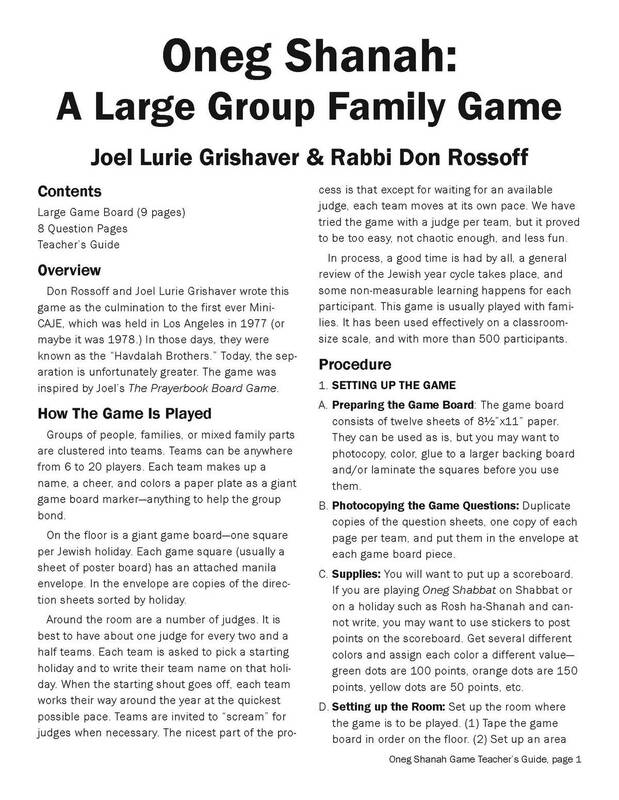 Originally written as a High Holy Day experience, Oneg Shanah asks participants to perform creative non-writing activities to review the year cycle and all the Jewish holidays for a cycle. Perfect for holiday and Shabbat programming. 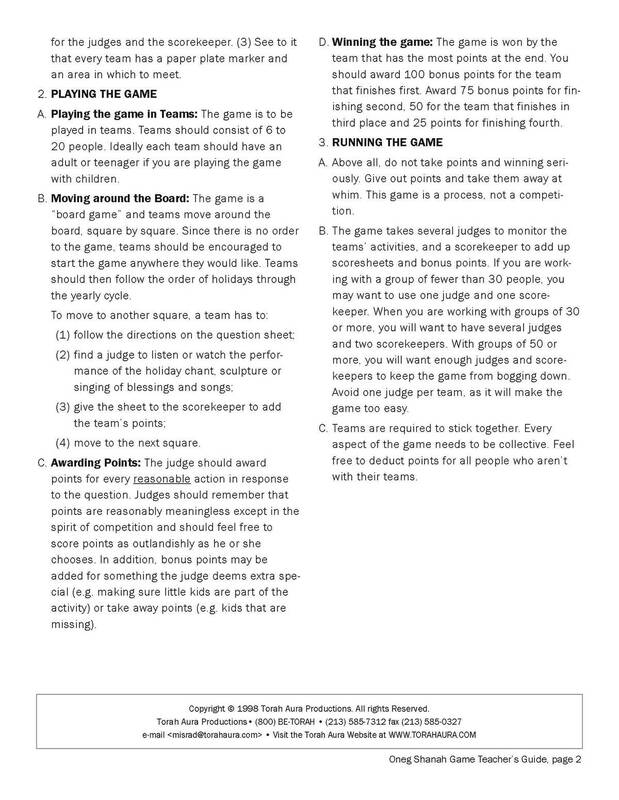 The Oneg Shanah game comes with a 30 x 96 inch vinyl board for the floor and guide with instructions for playing Oneg Shanah.